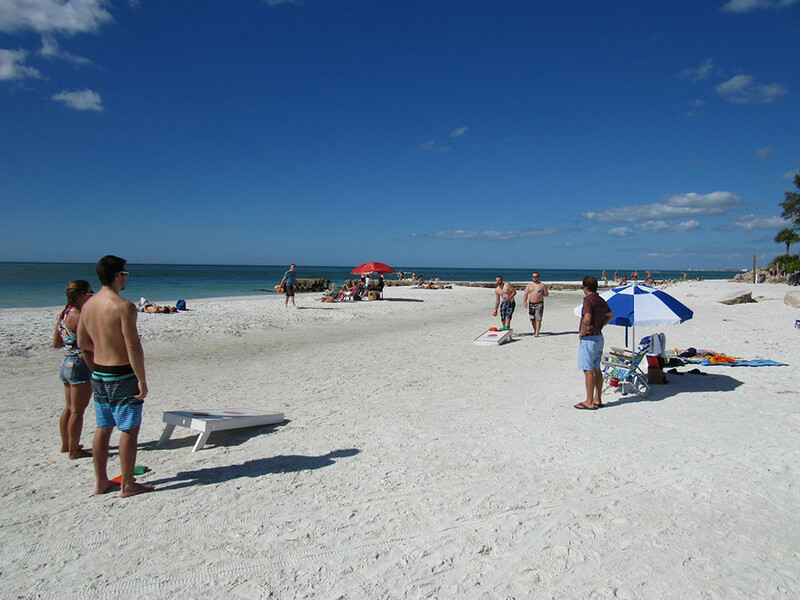 A new holiday tradition has begun on Siesta Key! 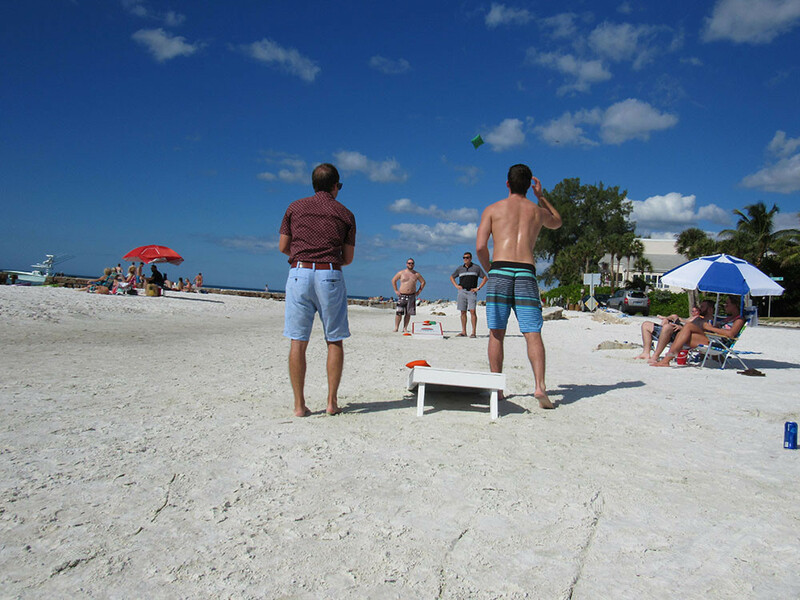 Thanksgiving 2016 saw the staff and guests of Tropical Breeze Resort and Siesta Key Luxury Rental properties compete in the first ever Turkey Toss! Feeling the need to work off some of that turkey and stuffing, the staff of SKLRP invited guests and friends to compete in friendly game of corn hole right on Siesta Key Beach! A favorite game of locals, corn hole sees two teams of two compete against one another by tossing sacks of corn at a raised platform. 3 teams competed for a first place prize of a $25 gift card to The Daiquiri Deck. 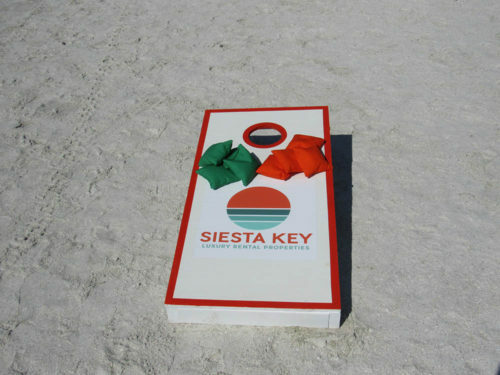 Second place received a nice bucket of Siesta Sand and third place got a thanks for participating pat on the back. The teams consisted of The Cornholios, Sack to the Future, and Team SKLRP. When all the points were counted Team SKLRP was declared the winner yet deferred the first place prize to team Sack to the Future, while the Cornholio’s enjoyed their hard won pat on the back. 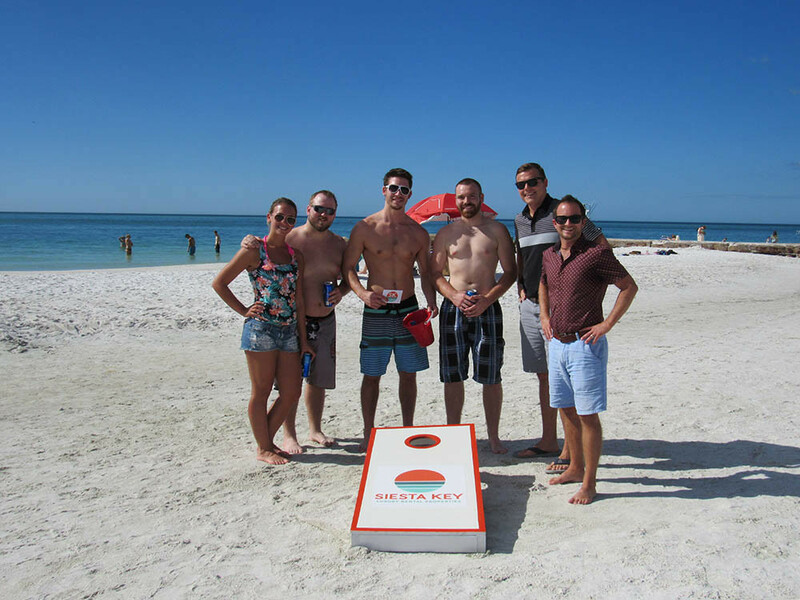 Be on the look out for more events like the 2016 Turkey Toss on Siesta Key Beach!